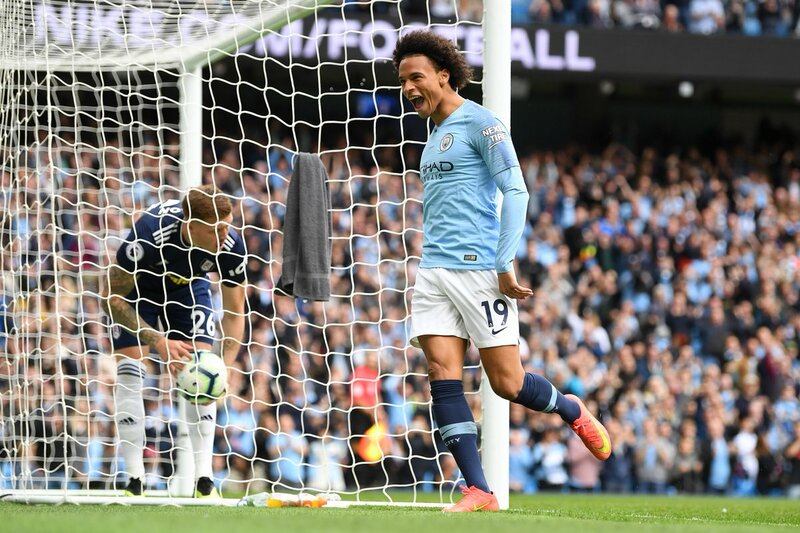 Report – Juventus keen on Man City’s Leroy Sane? Manchester City winger Leroy Sane has reportedly emerged as a transfer target for the Italian champions Juventus. The Germany international established himself as an integral part of City’s title-winning squad last season, with his performance seeing him named the PFA Young Player of the Year. However, the 22-year-old midfielder has not been a regular starter for the Sky Blues during the opening weeks of the ongoing season and Calciomercato claims that the Serie A giants could look to prise him away from the Etihad Stadium. It’s understood, any bid for the midfielder is not likely to happen until next summer at the earliest, though, as the Old Lady must comply with Financial Fair Play rules following their £100m swoop of Cristiano Ronaldo this year. Juve chairman Andrea Agnelli is reportedly eager to sign ‘a young Ronaldo’ to reshape a squad around and has identified Sane as someone who fits the bill.